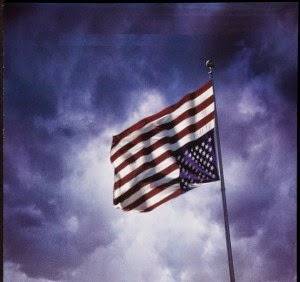 Warning Signs: Is America in Decline? In case you have had the feeling that America is in decline and will make way for a new superpower, you may be right. At least you’re right if you agree with James MacDonald, the author of “When Globalization Fails: The Rise and Fall of Pax Americana” (due in January 2015, Farrar, Straus and Giroux). Given his review of the rise and fall of previous powerful nations, history, and a current analysis, they come together to say our days of global influence are over. In a way, the election of Barack Obama is the perfect example of failed leadership, both as President and as a nation that others used to rely upon to maintain world peace, protect the sea lanes necessary for trade, and intervene when rogue players threaten their neighbors and the world. For the first time in most people’s memory, our former allies and those nations looking toward America to see what action it will take or not no longer have any confidence in our willingness to take any action. More specifically, what action President Obama will or will not take. The rise of the Islamic State is a response to Obama’s abandonment of the Middle East. Obama arrived in office with the belief that America was the problem and has proceeded to diminish Pax Americana (Latin for ensuring peace) in every way possible. He began by apologizing for America for having been too aggressive in the past and not having much good to say about it except in the most perfunctory and obligatory way. MacDonald’s book is a historical review of previous world powers like Pax Britannia and the rivalries of colonial powers like Spain, Portugal, France and Germany. Bit by bit nations began to regard world trade as a brake on potential wars—they were wrong as in the case of the last century—and as a way to lift all nations toward greater prosperity. International organizations like the League of Nations and the United Nations have demonstrated no ability to ward off combat or the threats posed by rogue nations like North Korea or Iran. “If the world’s great and rising powers are going to avoid conflict, it will require a determined effort to avoid the pitfalls of history,” says MacDonald. MacDonald offers eight elements that produced the era of peace that began in post-war 1945 when the U.S. emerged with a thriving, growing economy while those in Europe and Asia were devastated. My generation looks back on those years knowing they were likely the best America will enjoy and hoping our economy will not be devastated by a national debt of $18 trillion and unfunded liabilities of $127 trillion! It takes a historian to remind us that “One of the main lessons of history is that history lessons are eventually forgotten.” One need only look around the world for proof of that. The U.S. is not the only nation spending itself into a black hole. MacDonald reminds us, too, that it was the Cold War between the U.S. and then-Soviet Union that helped maintain “an unquiet peace” because neither nation would ever use its nuclear weapons. MacDonald fears “an equally intense Sino-American hostility” as China flexes its muscles. Don’t be surprised to see Japan acquire a nuclear shield or other Asian nations in China’s sphere of influence. The future, as always, is clouded and there remains the threat of financial meltdowns. The U.S. had one in 2008 that required massive amounts of federal bailouts to avoid a worse outcome. We have been in the Great Recession ever since. MacDonald notes that decolonization played a major role in the period following World War I and II. “The breakup of the European empires, even though it has often created its own sources of conflict, has contributed to the postwar peace among the Great Powers by breaking up economic blocs and reducing the causes of friction and envy that helped spur wars.” The lessons of U.S. intervention in Afghanistan and Iraq demonstrate that what was easier in the past is no longer. At the moment when the Obama administration is desperately trying to arrive at an agreement with Iran that will not permit it to make its own nuclear weapons, MacDonald believes that the threat of nuclear weapons may be the chief means to enforce any peace worldwide. The flaw in this is whether a fanatical Islamic power would resist their use. MacDonald concludes that “The United States will, in all likelihood, remain center stage in world affairs” for some time to come. Ridding the nation of its current, unpopular President and unlocking the hold that the Democratic Party has imposed on Congress, will be a major step in the right direction for the nation. Finding a leader who will encourage economic growth and resist our enemies will play a major role in restoring the power and influence we have had.